Throughout 2017, Spatial Collective applied new technologies to the data capture element of land registration in order to test whether affordable tools for documentation of land exist, whether these tools can reach the accuracy standards required by the state, and whether communities can replicate the work of a professional surveyor. To do this, our research looked into the land demarcation process, determined whether new technologies were of quality and met national standards, and gauged the most cost-effective tools which are widely accessible to local communities. The fieldwork and production of the report were supported by Omidyar Network. We will make our research openly available shortly, but in the meantime, we will publish a series of blog posts touching on the main findings of the research, starting with the Executive Summary below. The Community Lands Act of Kenya – passed in September 2016 – provides for the recognition, protection, and registration of community land rights. One of the requirements to registering community land is for communities to agree on and identify the community resources and boundaries to determine which entity deserves recognition for ownership. For this reason, there is an urgent need to build the most affordable and sustainable systems for mapping community lands. We believe that through affordable and ubiquitous technologies, coupled with awareness raising and training, local communities can understand their land rights and contribute to proper land mapping in rural and remote areas of Kenya. 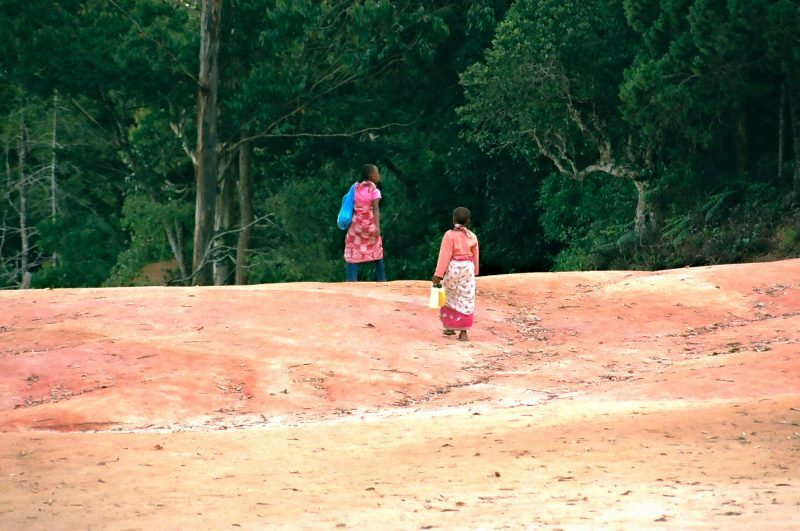 While Kenya has existing legislature and controlling bodies to enact land laws, many local communities remain unaware of their rights and the processes to claim and register land. This leaves a large part of the country unmapped and communities ripe for dispute and confrontation. A wide selection of geospatial technologies exist to accurately survey the land, however, many of these are expensive, require very specialized skills to operate or facilitate and, in some cases, muster a hostile reaction from the communities due to its unfamiliarity of use. In our research, we looked at off-the-shelf, easy to use, hand-held mobile and GPS units and their potential in communities’ participation in land demarcation. We chose these tools because their learning curve is less steep compared to some other technologies for land mapping. These tools are ubiquitous and habitually used in many aspects of life in Kenya, such as communication, entertainment, access to information, Internet, and mobile banking. We were interested to see whether these tools can be used in property rights mapping to reach the accuracy and attribution threshold required by the state for land demarcation. To do this, Spatial Collective implemented a three-step approach. First, we examined the process of land demarcation for new grants and for the subdivision of land. We were specifically interested in the accuracy and attribution of spatial data required by professional surveyors and government offices for demarcation of land. Second, we tested a series of affordable mobile and GPS tools in varying environments to see whether they can achieve these thresholds. And third, by replicating the work of a professional surveyor, we assessed whether communities can lead the process of demarcation of their own lands. We found that environmental factors greatly affect the nature of measurements of different terrains. Most of the latest mobile phones can only reach the accuracy standards required for mapping general boundaries, which is three meters or lower. This is the standard required for mapping parcels and community land in rural areas in Kenya. These tools cannot be used for the capture of fixed boundaries which require two to three-centimeter accuracies. Furthermore, we found that a pairing of mobile and GPS dependencies may provide the most optimal and cost-effective measurements in the face of environmental and terrain challenges and limited network connectivity. Working with communities and a professional surveyor, we find that communities can lead the process of land demarcation and can replicate the work of a professional surveyor both in terms of accuracies and attribution required in rural areas. Smartphones can store the necessary attribute data from the field in a digital format, fulfilling the requirements to document people, land and associated rights. Training is relatively simple and most processes repeatable to a satisfactory standard, and the possibility of having units available at sub-county level that can be rented out to communities makes it cost effective and affordable. Most rural parcels are currently registered only through pen and paper and sometimes by a measuring tape. The information is then stored in paper format at the County offices, making it susceptible to manipulation, corruption, and loss. The ubiquitous mobile phones and GPS units provide an excellent alternative to the system that is currently used. We believe our research can empower local people to rightfully claim land and thus eradicate future land disputes and conflicts amongst them. We also believe there are opportunities for policymakers, lawmakers, technical experts, and administrators to use these insights to influence and shape their land rights agendas, as well as support efforts to better include local people and accurately map boundaries in Kenya.